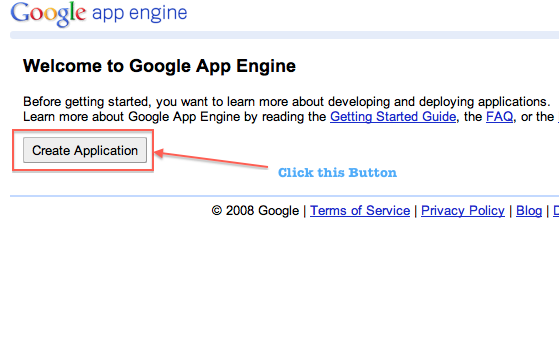 Create App Engine App and Get Google Apps and Custom Domain Email Free. 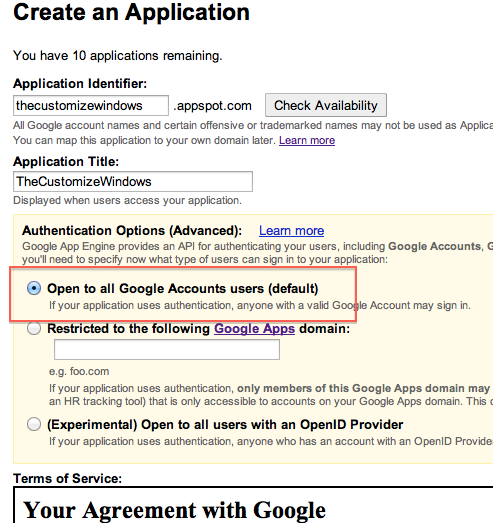 Yes, Google Apps for Free, but you honestly have to develop some Apps to keep it active. It not invented by us, what is not out of our brain, we never claim to be of ours unique. To Create App Engine App and Get Google Apps and Custom Domain Email Free is not any hack, first it is a feature to attract the developers to Google Cloud plus, it is a fact that, without this feature its difficult to make Google Apps standing as a PaaS, in this highly competitive market. We do not recommend to abuse this feature, please develop a good App Engine App or modify to add more features to any existing GNU GPL licensed App Engine App. If you are unable to follow this chewed to fluid guide to Create App Engine App and Get Google Apps and Custom Domain Email Free, the read the guide on Alternative Options to Google Apps as Free and Paid Solution. Background is nothing but Goggle Apps, which is a SaaS, has been paid now for the new users. Old users however need not to think. They can continue usage plus we have various options. Google Apps is not anything very sophisticated SaaS, there are many good Open Source Softwares that an solve the problem as well as more faster, scalable paid SaaS. But the fact is – SaaS can not be a solution for an advanced user. That is why basically we use hosted WordPress, we do not use paid version of WordPress.com. We will not incline towards Cloud though in this article. 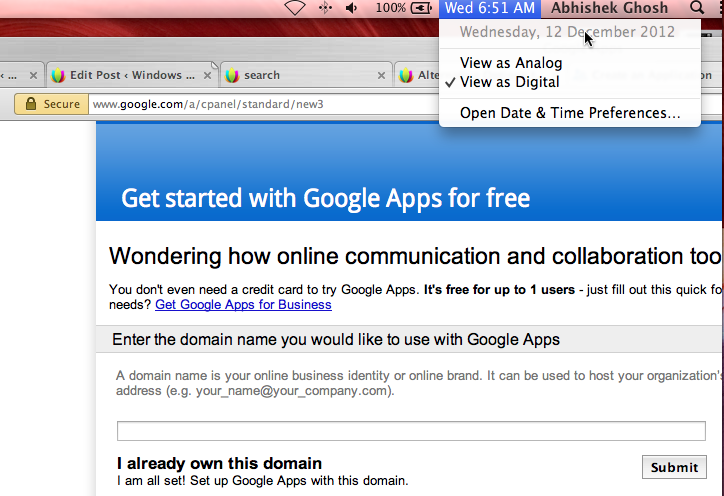 So this on today’s date in Indian Standard Time on a Mac OS X 10.8 and you can see the Free Google Apps is waiting for you. 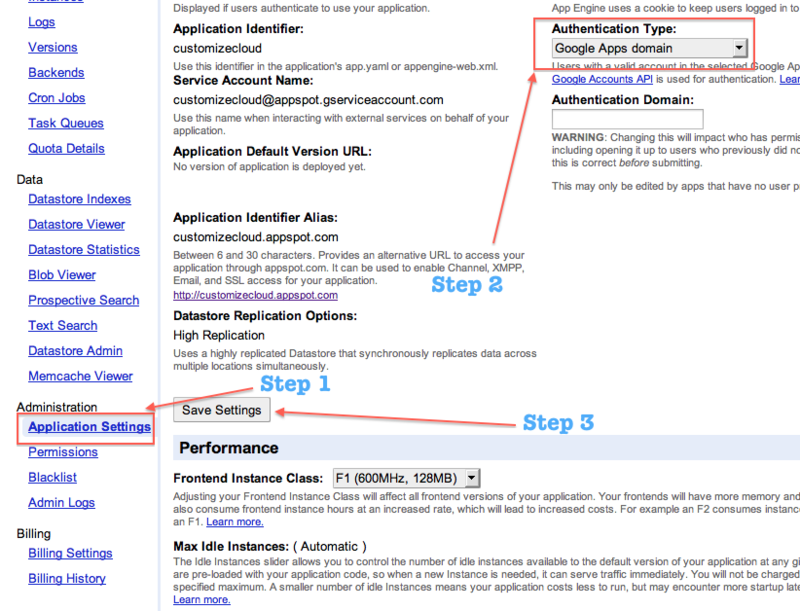 So this is how to Create App Engine App and Get Google Apps and Custom Domain Email Free. Get the email. Now, thing remains is to upload and App and get some backlinks from the front of the App. Get the documents and guides from the official website, we have tutorials too, you can search with App Engine in the search box on this web page. You must keep it active with at least one or two visitors per day naturally, otherwise Google might suspect and Ban the account. Cloud Hosting and Cloud Servers gives the opportunity to hosted website or its components on multiple connected servers those are actually the Cloud Servers. daily. I’d like to start a blog so I can share my personal experience and views online. Please let me know if you have any recommendations or tips for brand new aspiring blog owners. Thankyou! 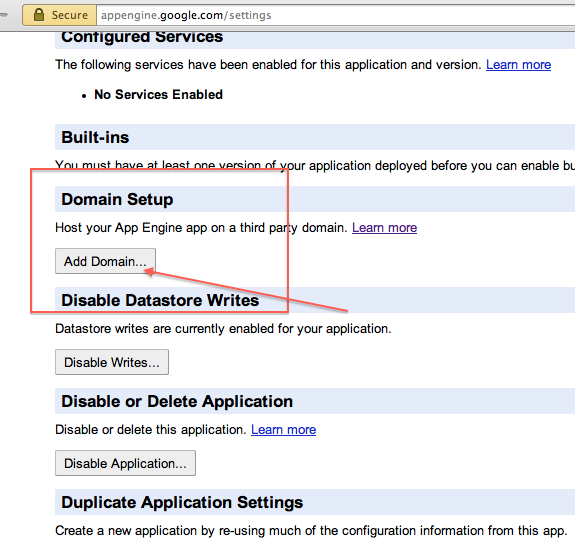 Cite this article as: Abhishek Ghosh, "Create App Engine App and Get Google Apps and Custom Domain Email Free," in The Customize Windows, December 12, 2012, April 26, 2019, https://thecustomizewindows.com/2012/12/create-app-engine-app-and-get-google-apps-and-custom-domain-email-free/.